Learn how to use color to its fullest potential. If you love color, you’ll love it even more when you finish this course – and your colors may never be the same. 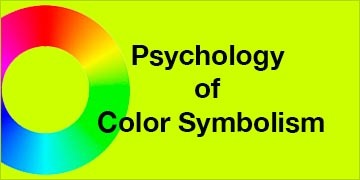 “The Psychology of Color Symbolism” e-course is designed for everyone – for all creative people. It’s for anyone who’s interested in color and wants to tap the power of color to send the right messages in any area of their life or work. If you’re a design professional looking to add some serious science to your color knowledge and an edge on your competition, this is a must-do course for you. This course delivers the most up-to-date training in the psychology of color symbolism. And it’s taught by a color consultant Jill Morton, whose clients include Fortune 500 companies – and who’s also a University professor and the author of the Color Voodoo e-books about color. Learning color has never been easier! The 16 colorful videos explain color visually. They illustrate much more than just reading about color symbolism. The worksheets and resources are powerful references for your color projects. The short quizzes (we’re betting that you’ll enjoy the last questions for each color) are a fun way to test your knowledge. You could spend hours researching the psychological effects of just one color on the web – or you could take this e-course and become a color symbolism expert with all the resources you’ll ever need. Enroll now and get immediate access in minutes. Expand your knowledge of color, boost your creativity, and supercharge your enthusiasm. “Foolproof Color Formulas for Interior Design” is the first and only online course that delivers the same content as a full semester college or university level course about color for interior design. It couldn’t be easier because you can learn at a pace that works for you. Interior designers and decorators, architects, color consultant, industry professionals, and all color enthusiasts. If you’re a design professional looking to add some serious science to your color knowledge and an edge on your competition, this is a must-do course for you. 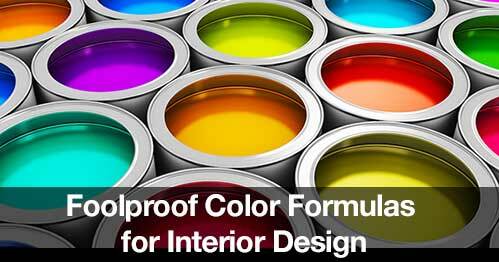 Get transformed into a master of dramatically constructed colors in interior design. You’ll be empowered to design one-of-a-kind interiors that reflect your creative abilities. Let color change your life! It’s like waving a magic wand and transforming your home with colors. This course guides you through a logical sequence of steps for a full makeover of your home or a partial makeover of a room. You’ll learn how to use your color intuition AND blend this intuition with interior design research that’s backed up by science. The course empowers you with the trade secrets that interior designers use. In a few hours you’ll have the confidence to have your first project underway. Enroll now and take at your own pace. Do you need quick and easy answers for color symbolism? Learn the most universal symbolism of colors and use it to send the right messages with any color you choose. The Organic Color Symbolism e-course designed for everyone – for all creative people – for anyone who wants to tap the power of color. Take at your own pace – or complete the course in less than 2 hours. The Symbolism of Colors In Nature. “Organic Color Symbolism” will pave the way for you to use color confidently for the most powerful effect in any area of your life. Enroll now and get immediate access in minutes. We’ll bring the power of color to you. Color professor Jill Morton offers a series of seminars and custom workshops that will create a color impact in your business and in your life. We cover all aspects of color—from design theory to color psychology and marketing. 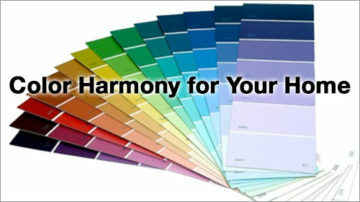 We offer several kinds of informative seminars about the powerful aspects of color. We’ll also customize a seminar to address your industry or specific needs. If you prefer a light-hearted approach to color, informal lectures and keynote speeches are also available. A brief description of each kind of seminar is provided below. Email us an let us know what kind of online courses or in person seminars you’re interested in.